NBRI Recruitment 2019 - Below are various recruitment notifications published by NBRI - National Botanical Research Institute. As of now, we don't have any active recruitment notification by NBRI featured here. We may update as soon as the organization announces a new job notification. If you are looking for any information related to previously organized recruitment drives by NBRI, you can browse through previous job notifications mentioned below and get the new updates or information you are looking for. NBRI Recruitment 2019 - Walk in for JRF, PA & Other Posts in NBRI, Madhya Pradesh on a Temporary Basis. Candidates are invited by NBRI - National Botanical Research Institute to attend walk-in-interview to be held on 18 Fe 2019 to 21 Feb 2019 at 11:00 AM. NBRI Recruitment 2019 - Walk in for Project Assistant Post in NBRI, Lucknow, Uttar Pradesh on Contract Basis. Candidates are invited by NBRI - National Botanical Research Institute to attend walk-in-interview to be held on 21 Jan 2019 11:00 AM for 1 vacancy. NBRI Recruitment 2018 - Walk in for SRF, JRF & Other Posts in NBRI, Uttar Pradesh on Temporary Basis. Candidates are invited by NBRI - National Botanical Research Institute to attend walk-in-interview to be held on 02 Nov 2018. NBRI Recruitment 2018 - Walk in for Project Scientist, PA Level & Other Posts in NBRI, Lucknow, Uttar Pradesh on Temporary Basis. Candidates are invited by NBRI - National Botanical Research Institute to attend walk-in-interview to be held on 6 & 07 Sep 2018 at 11:00 AM. NBRI Recruitment 2018 - Walk in for IT Officer Post on a project entitled " Establishment Of ENVIS Centre On Indicator Of Plant Pollution In NBRI " in NBRI, Uttar Pradesh on Temporary Basis. Candidates are invited by NBRI - National Botanical Research Institute to attend walk-in-interview to be held on 16 Aug 2018 11:00 AM for 1 vacancy. NBRI Recruitment 2018 - Walk in for IT Officer, Project Asst & Other Posts in NBRI, Uttar Pradesh. Candidates are invited by NBRI - National Botanical Research Institute to attend walk-in-interview to be held on 11 Jul 2018 10:30 AM for 3 vacancies. NBRI Recruitment 2018 - Walk in Interview for Junior Research Fellow/ Project Assistant Level II & Project Assistant Level I Posts on a project entitled "Distribution and population growth of invasive alien plants in Sikkim and Darjeeling Himalaya in different ecosystems along the altitudinal gradient and their impact on native flora and plant community attributes'' in NBRI, Lucknow, Uttar Pradesh on Contract Basis. Candidates are invited by NBRI - National Botanical Research Institute to attend walk-in-interview to be held on 11 Jun 2018 10:30 AM for 2 vacancies. 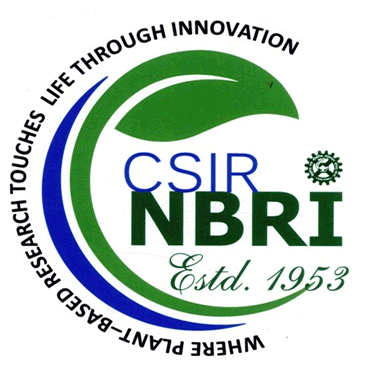 NBRI Recruitment 2018 - Walk in for RA/ SRF & Research Asst Posts on a project entitled "Chemotyping and molecular profiling of bioactive metabolites in Hemidesmus indicus and costus speciosus, adapted to different phytogeographical zones and identification of candidate genes related to metabolic pathways" in NBRI, Lucknow, Uttar Pradesh on Temporary Basis. Candidates are invited by NBRI - National Botanical Research Institute to attend walk-in-interview to be held on 14 May 2018 10:30 AM. NBRI Recruitment 2018 - Job notification for Research Associate (Project) Post on a project entitled “Inflammation regulated metabolic reprogramming: Implications in tumor progression” in NBRI, Manesar, Gurgaon, New Delhi on Temporary on Co-terminus Basis. Applications are invited by NBRI - National Botanical Research Institute on or before 25 Apr 2018 for 2 vacancies. NBRI Recruitment 2018 - Job notification for Scientist & Sr. Scientist Posts in Lucknow. Applications are invited by NBRI - National Botanical Research Institute on or before 26 Feb 2018 for 8 vacancies.